We provide award winning Denver DJ services throughout Colorado for mobile events. School dances, Quinceañeras, private events, corporate events, fashion shows and organization are what we stand for. Lighting and sound is available for events of all sizes. 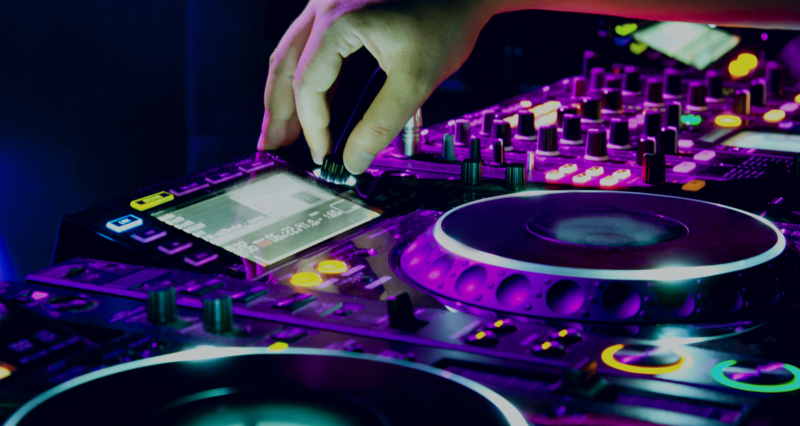 Book the best Denver DJ services for your next event! There is so much that goes into the planning of such a monumental day, and there is nothing that can be overlooked. With our experience and professionalism we become an asset to the planning aspect of the wedding. We cater to your every need as DJs, help the timeline and events move along throughout the night, and we are with you every step of the planning phase. What better way to bring some excitement to your corporate function than to have a live DJ?! Or maybe you just need some A/V services, we do that too! Company picnics, product launches, sale events, holiday functions, or anything else you may need, we’re here for you! A few companies we’ve worked with include; Victoria Secret, Bath & Body Works, Sephora, GameStop, Red Bull, and Water World. Check out some of our recap videos on YouTube. Need a crowd pleasing Denver DJ for your night club or bar? We specialize in all the popular genres of music, and we actually DJ. We play the music, we blend it, scratch, and mix! Aside from that, we read the crowd and play to the audience in your venue. Among our many skills, we know exactly how to create the best party atmosphere that leave your students wanting to come back to each and every dance and school function. Our Denver DJ services create this atmosphere while still keeping it age appropriate for the students. Check out this recap video to see what our Denver DJ services are all about! Let’s make your event amazing! !